Visit https://www.naylornetwork.com/icw-nwl/articles/index-v2.asp?aid=466228&issueID=51168 to view the full article online. Wages at small businesses across the country continue to rise but job growth at the same companies has stagnated, according to the latest Paychex | IHS Small Business Employment Watch. Visit https://smallbiztrends.com/2017/10/september-2017-small-business-employment-statistics.html to view the full article online. 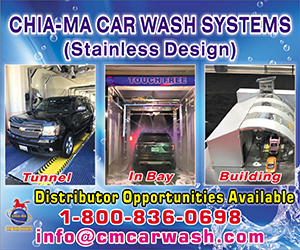 Demand for car wash services has been rising over the past decade, due to its increased convenience and greater array of budget and luxury options. 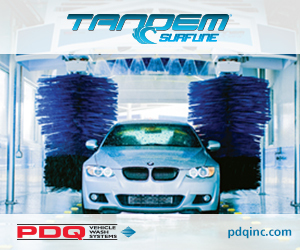 Convenience store operators can clean up with a car wash, provided they do their due diligence. Visit https://www.cstoredecisions.com/2017/10/04/streaming-car-wash-profits/ to view the full article online. Roark Capital Group, an Atlanta-based private equity firm focused on multi-unit consumer businesses, announced today that its affiliate has closed on the previously announced acquisition of UK-based International Car Wash Group from TDR Capital LLP. 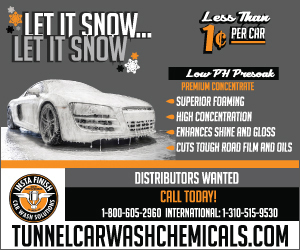 Visit https://www.pehub.com/2017/10/tdr-capital-sells-international-car-wash-group-to-roark-capital/ to view the full article online. According to Amazon's Jeff Bezos, there are two types of decisions: Type 1 decisions are irreversible and should be made with caution. Type 2 decisions are reversible, like "two-way doors," and should be made quickly. Amazon's willingness and ability to make Type 2 decisions has been a major factor in its success. Visit http://www.businessinsider.com/why-amazon-is-so-successful-2017-10 to view the full article online. When you’re dealing with a setback at work or undergoing a slow slide into disillusionment, struggling to find meaning or purpose in your work, things can feel pretty hopeless. It’s in times like these that many of us make rash career moves, desperate for any change in our work lives. Visit https://www.fastcompany.com/40477510/struggling-with-a-work-setback-reflect-on-your-childhood-yes-really to view the full article online. The number of small businesses who are currently developing their own apps continues to increase. Whereas the cost used to be upwards of $50,000 for an app to be developed, we can now get simple apps developed for less than a $1000. Visit https://www.inc.com/andrew-griffiths/are-you-being-left-behind-because-you-dont-have-an-app.html?cid=hmhero to view the full article online. When the entire staff of your business is just you, how do you handle public relations? Do you hire someone? Do it yourself? Visit https://www.forbes.com/sites/cherylsnappconner/2017/10/08/pr-strategies-for-a-one-person-company/#1cdbe7042281 to view the full article online. Hydra-Flex, Inc., manufacturer of innovative fluid handling equipment, has been honored with the Best New Product design award and Jaime Harris – President and CEO of Hydra-Flex – is named Executive of the Year at the 2017 Minnesota Manufacturing Awards. 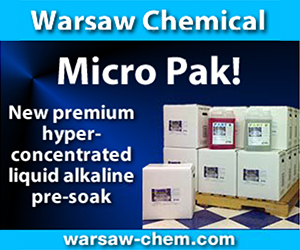 Visit http://www.carwash.org/news-landing/2017/10/11/supplier-news-hydra-flex-honored-with-two-awards-at-2017-minnesota-manufacturing-awards to view the full article online. 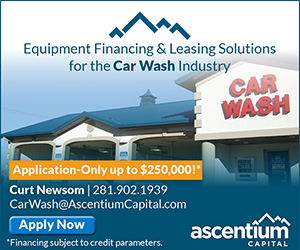 DRB Systems, a point-of-sale (POS) software company offering marketing and business solutions to car-wash operators, is working with equipment finance company Ascentium Capital to develop a customized financing program for car-wash business owners. Visit http://www.cspdailynews.com/category-news/services/articles/drb-rolls-out-financing-program-car-wash-equipment to view the full article online.